Charley (Anton Yelchin), Amy (Imogen Poots) and Jane (Toni Collette) try to escape Jerry (Colin Farrell). Jerry (Colin Farrell) tries to enter the Brewster's house and asks Jane (Toni Collette) to have her son stop to harrass him. Jane (Toni Collette) and Charlie (Anton Yelchin) discuss the new neighbor and the way he renovates his house. Selection of scenes that were cut from the final version of "Fright Night", featuring Anton Yelchin, Toni Collette and Colin Farrell. 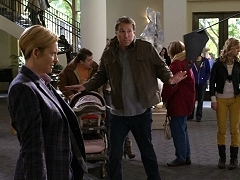 Toni Collette is interviewed on the set of "Fright Night". Outtakes and bloopers from the making of "Fright Night". B-Roll footage from the making of "Fright Night", featuring scenes with Colin Farrell, Anton Yelchin and Toni Collette. 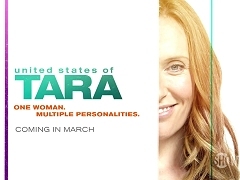 Trailer for the third season of "United States of Tara", starring Toni Collette, John Corbett, Brie Larson and Keir Gilchrist. 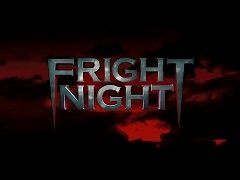 Theatrical trailer for "Fright Night", directed by Craig Gillespie and starring Anton Yelchin and Colin Farrell.